Bada (stylized as bada; Korean: 바다) was an operating system for mobile devices such as smartphones and tablet computers. It was developed by Samsung Electronics. Its name is derived from "바다 (bada)", meaning "ocean" or "sea" in Korean. It ranges from mid- to high-end smartphones. To foster adoption of Bada OS, since 2011 Samsung reportedly has considered releasing the source code under an open-source license, and expanding device support to include Smart TVs. Samsung announced in June 2012 intentions to merge Bada into the Tizen project, but would meanwhile use its own Bada operating system, in parallel with Google Android OS and Microsoft Windows Phone, for its smartphones. All Bada-powered devices are branded under the Wave name, but not all of Samsung's Android-powered devices are branded under the name Galaxy. On 25 February 2013, Samsung announced that it will stop developing Bada, moving development to Tizen instead. Bug reporting was finally terminated in April 2014. Bada and the mobile software distributions it is related with. After the announcement, the Wave S8500 was first shown at Mobile World Congress 2010 in Barcelona in February 2010. At that time, applications running on the first Bada phone were demonstrated, including Gameloft's Asphalt 5. After the launch, companies such as Twitter, EA, Capcom, Gameloft and Blockbuster showed their support for the Bada platform. In May 2010, Samsung released a beta of their Bada software development kit (SDK) to attract developers. Samsung also began the Bada Developer Challenge with a total prize of $2,700,000 (USD). In August 2010, Samsung released version 1.0 of the SDK. In August 2011, Samsung released version 2.0 of the SDK. This new version provides many enhancements over its predecessors. The first Bada-based phone was the Samsung Wave S8500, released in April 2010, which sold one million handsets in its first four weeks on the market. 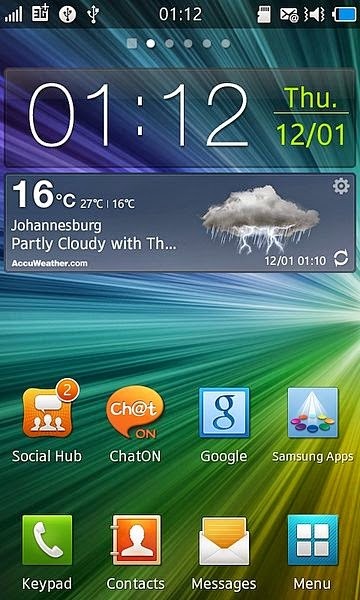 The Samsung S8500 Wave was launched with version 1.0 of the Bada operating system. Soon after the launch, Samsung released version 1.0.2, which included minor fixes for European users. The latest version 1.2 was released with the Samsung S8530 Wave II phone. The alpha-version of Bada 2.0 was introduced on February 15, 2011, with the Samsung S8530 Wave II handset. With the release of the Samsung Wave, Samsung opened an international application store, Samsung Apps, for the Bada platform. Samsung Apps has over 2400 applications. This store is also available for Android and Samsung feature phones. Bada, as Samsung defines it, is not an operating system itself, but a platform with a kernel configurable architecture, which allows using either a proprietary real-time operating system hybrid (RTOS) kernel or the Linux kernel. According to copyrights displayed by Samsung Wave S8500, it uses code from FreeBSD, NetBSD and OpenBSD. Despite numerous suggestions, there is no known bada device to date that is running the Linux kernel. Similarly, there is no evidence that bada uses the same or similar graphics stack as the Tizen OS, in particular EFL. The device layer provides core functions such as graphics, protocols, telephony and security. The service layer provides more service-centric features such as SMS, mapping and in-app-purchasing. To provide such features there is a so-called bada Server. The top layer, the framework layer provides an application programming interface (API) in C++ for application developers to use. Bada provides various UI controls to developers: It provides assorted basic UI controls such as Listbox, Color Picker, and Tab, has a web browser control based on the open-source WebKit, and features Adobe Flash, supporting Flash 9, 10, or 11 (Flash Lite 4 with ActionScript 3.0 support) in Bada 2.0. Both the WebKit and Flash can be embedded inside native Bada applications. Bada supports OpenGL ES 2.0 3D graphics API and offers interactive mapping with point of interest (POI) features, which can also be embedded inside native applications. It supports pinch-to-zoom, tabbed browsing and cut, copy, and paste features. Bada supports many mechanisms to enhance interaction, which can be incorporated into applications. These include various sensors such as motion sensing, vibration control, face detection,accelerometer, magnetometer, tilt, Global Positioning System (GPS), and multi-touch. Native applications are developed in C++ with the Bada SDK, and the Eclipse based integrated development environment (IDE). GNU-based tool chains are used for building and debugging applications. The IDE also contains UI Builder, with which developers can easily design the interface of their applications by dragging and dropping UI controls into forms. For testing and debugging, the IDE contains an emulator which can run apps. In the beginning, all VoIP over Wi-Fi applications were banned which meant that popular applications such as Skype could not be used. In March 2011 this restriction was removed, allowing VoIP applications to run on the platform. The external sensor API is not open-ended, preventing new types of sensors or unexpected technology developments from being added in the future by third parties. Due to "performance and privacy issues", Bada 1.x applications cannot access the SMS/MMS inbox or receive incoming SMS/MMS notifications. This limit was removed in version 2.0. Bada versions 1.x only allowed one Bada third party application to run at a time. Multitasking applications was only possible between the base applications and one Bada third party application. This limit is removed since version 2.0. Samsung's first phone running the Bada platform was the Wave S8500. The Wave is a slim touchscreen phone powered by Samsung's "Hummingbird" CPU (S5PC110), which includes a 1 GHz ARM Cortex-A8 CPU and a built-in PowerVR SGX 540 3D graphics engine, "Super AMOLED" screen and 720p high-def video capabilities. The Samsung S8530 Wave II was made available in November 2010. It has a 3.7" Super Clear capacitive LCD touchscreen. It is preloaded with Bada 1.2. At the end of 2011, Samsung released three new models with Bada 2.0. The Samsung Wave 3 (S8600) is a high-end model featuring 1.4 GHz CPU with integrated Adreno 205 GPU, 4" AMOLED screen and 5 MP camera. The Wave M and Wave Y are lower-priced models, using slower CPUs, smaller LCD screens, and lacking other features found in the Wave 3. According to Canalys, Samsung shipped 3.5 million phones running Bada in Q1 of 2011. This rose to 4.5 million phones in Q2 of 2011. According to Gartner in Q1 2012 bada gain a grow index of +43% and rose from 1.9% share of the market in the same period last year to 2.7%. Last updated on 23 August 2014 at 20:49.